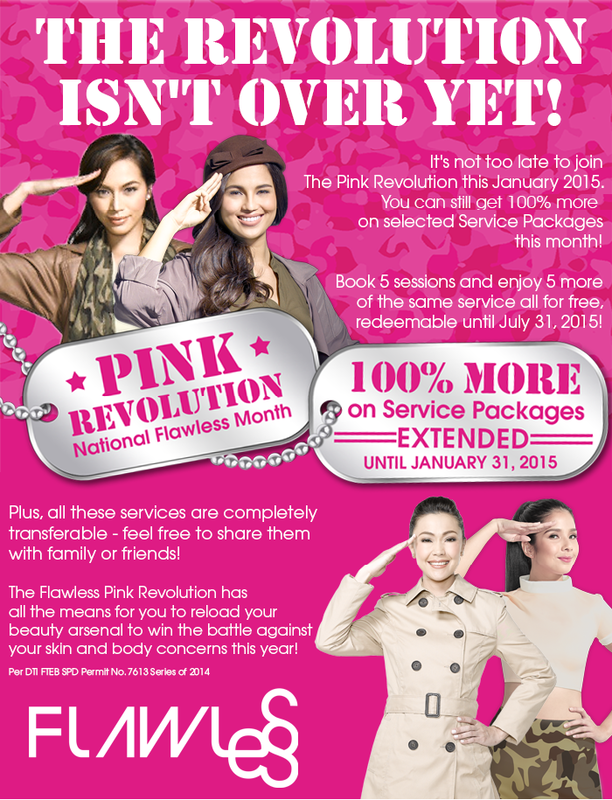 Cebu Is a Beauty | A Cebuana Lifestyle Blog: Forever Flawless Pink Revolution EXTENDED! Forever Flawless Pink Revolution EXTENDED! Forever Flawless is my savior when my face could no longer take the stress when I was on my first semester of law school. I had the scariest breakout I have ever had. I tried a lot of remedies but only Forever Flawless' Advance Anti-Acne Facial turned my hideous blemishes around. I used to patronize their skin care set too until I no longer had to use it. I love how Forever Flawless suits one of my #kumbati2015 goals - which is saving - because I just could not cut my maintenance regimens and risk breaking out again. Thank goodness for the Flawless Pink Revolution. A salute is well deserved indeed! PS. Yes I'm back to blogging! Woman in Black 2 Was a Total Scream-fest!